Do you plan to have your home remodeled? And perhaps you are considering making your kitchen more functional and beautiful? If so, then it is time you consider granite kitchen countertops? In the past years, granite has steadily become the go-to countertop material in the market. There are various reasons why homeowners love to install these countertops – and they are detailed below! This is definitely one of the popular reasons homeowners choose granite kitchen countertops in Dallas. Although some people pick countertops because they can last longer, others prefer them because of the various color options. This alone gives you flexibility in finding the right granite countertop design for your kitchen. Nature constantly appears to be much better at playing with color than humans. The most preferred granite colors are white, black, and gray. Still, there are a lot of color options for you to choose from. Granite countertops in Dallas have a clean, sophisticated look which makes the kitchen appear bigger and lighter. Hence these countertops are ideal for homes with smaller kitchens. Not only do they make the area look more open and airy, they also give them a fresh and welcoming atmosphere. 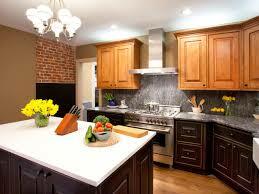 And if you have a larger kitchen, it will further expand its look and feel. 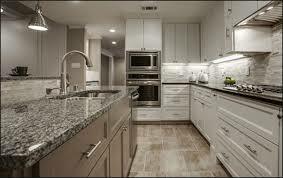 Moreover, there are granite countertops such as the white ones that can introduce some lighter tones. You can definitely play around these depending on your kitchen’s design. Not only do granite countertops come in various colors, they are also very easy to personalize during the fabrication process. This is because each piece is not only unique from nature but are also cut and fabricated according to your own preference. Moreover, the surface can be polished to look streamlined and fit your desired design. 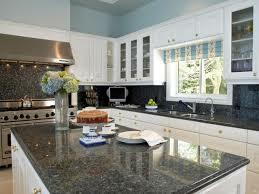 Some granite countertops are even offered in a brushed or antique top. Last but not the least, granite countertops can increase the overall value of your home. Keep in mind that they are among the most sought-after features in a home due to their elegance and luxurious feel. 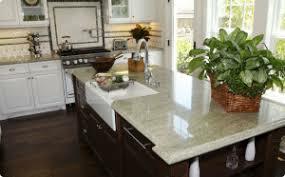 So, if you are planning to improve your house’s resale worth, you must know that granite countertops leave quite a good impression on potential buyers. Are you ready to install granite kitchen countertops in Dallas? Why not give us a call at Hard Rock Imports now, so we can set up an appointment? We can also give you a free design estimate if you are still undecided. Give us a call now!